Alice Cunningham Fletcher was a pioneer in the science of ethnology, living among American Indians while studying and documenting their culture. Fletcher was a leader in the movement to bring Native Americans into the mainstream of white society, but some of her ideas proved to be detrimental to the Indians. 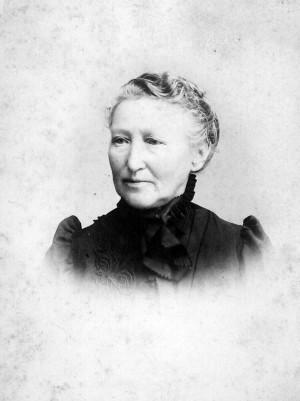 Alice Cunningham Fletcher was born in Havana, Cuba March 15, 1838 after her family traveled there in an effort to improve her father’s health. Both of her parents were from wealthy New England families – her father was a New York lawyer and her mother came from a prominent Boston business family. Little documentation of her early life remains. After her father died in 1839, the family moved to Brooklyn Heights, her mother enrolled Alice in the Brooklyn Female Academy, an exclusive school for daughters of the elite. Graceanna Lewis was an early female natural scientist who became an expert in the field of ornithology (the study of birds). She is also remembered as an activist in the temperance, women’s suffrage and antislavery movements, and her home was a station on the Underground Railroad. 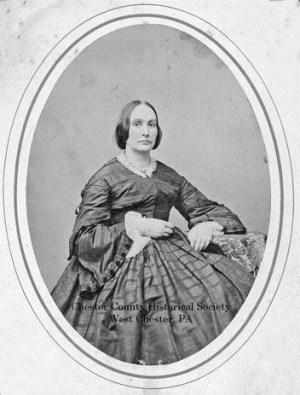 Graceanna Lewis was born August 3, 1821 on a farm in Chester County Pennsylvania, second of four daughters of Quaker farmers John Lewis and Esther Fussell Lewis. John died in 1824, leaving the children in the care of their mother, who endured a lengthy battle for control of the estate left to her by her husband. 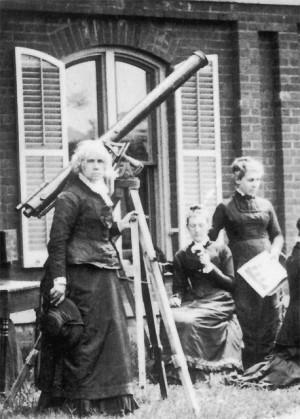 Mary Treat was a naturalist from New Jersey and a major contributor to many scientific developments of the nineteenth century. She is most well known for her extensive work in botany and entomology. Four species of plants and insects were named after her. 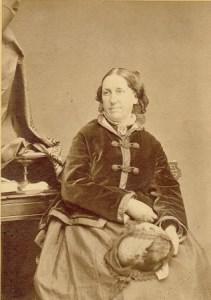 She also corresponded with Charles Darwin. Treat was a pioneer in several areas of natural sciences. Mary Lua Adelia Davis was born September 7, 1830 in Trumansburg, New York. Her parents were Isaac Davis, a Methodist minister, and Eliza (English) Davis and she had one sister, Nellie. In 1839 her family moved to Ohio where she attended public school and, for a short while, a private girls’ academy. 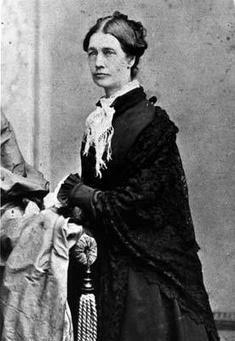 Elizabeth Cary Agassiz was a naturalist and educator who was co-founder and first president of Radcliffe, a women’s college in Cambridge, Massachusetts. By her tact and fund-raising abilities, she nurtured the college and insured its continued success. Elizabeth Cabot Cary was born December 5, 1822 to successful Boston businessman Thomas Graves Cary and Mary Ann Cushing Perkins Cary. 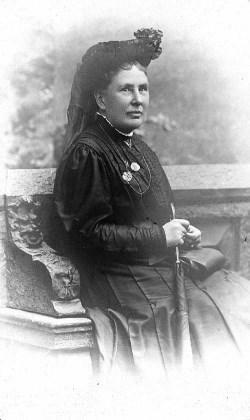 Due to her delicate health Elizabeth was educated by a governess at home who taught her languages, drawing, music and reading. She additionally received informal history lessons from Elizabeth Peabody. In the early eighteenth century only a few women in England and the American colonies were involved in any field of science. Those few were usually related to a man who worked in the field. Jane Colden (1724-1766) was introduced to botany by her father, and became the first woman botanist in America. 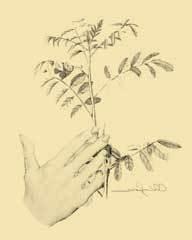 Jane Colden was born in New York City on March 27, 1724, the daughter of New York physician, governor and botanist, Cadwallader Colden, who learned about the use of plants for medicinal purposes as part of his education in Scotland.